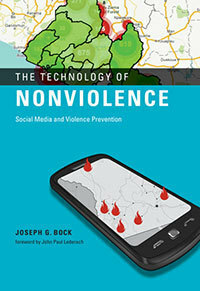 Joseph G. Bock, director of global health training and teaching professor in the Eck Institute for Global Health and the University of Notre Dame’s liaison to Catholic Relief Services, recently published “The Technology of Nonviolence: Social Media and Violence Prevention” (MIT Press). Bock, formerly of Notre Dame’s Kroc Institute for International Peace Studies, has more than a decade of experience in humanitarian relief and development. 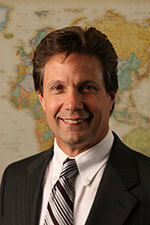 Bock teaches in the Eck Institute’s Master of Science in Global Health, now entering into its second year at Notre Dame, where he weaves his background and expertise of both low-tech and high-tech interventions to address the prevention of violence, which is considered by the World Health Organization to be a subfield of global health.